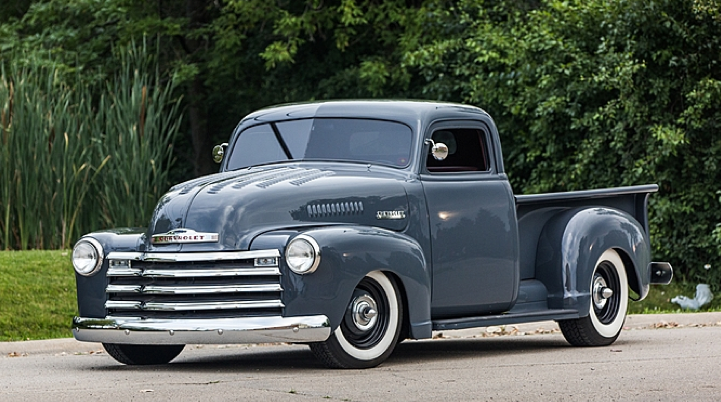 As usual there are some fantastic cars up for auction this month in Mecum, Monterey. We take a sideways look as some of the more unusual and interesting cars crossing the block this time. 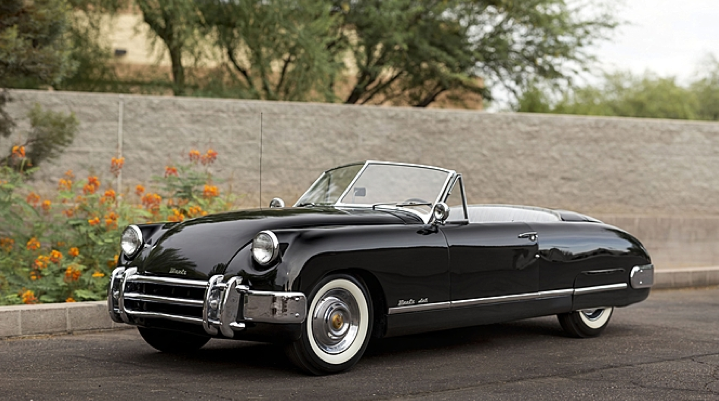 This is one of only 394 Muntz Jet cars built, created by famed car dealer Earl ‘Madman’ Muntz for the well-heeled, such as Mickey Rooney and Clara Bow. The first cars came with Cadillac V8s and aluminum sheet metal, the later with Lincoln V8s and steel bodies as this one is equipped with. 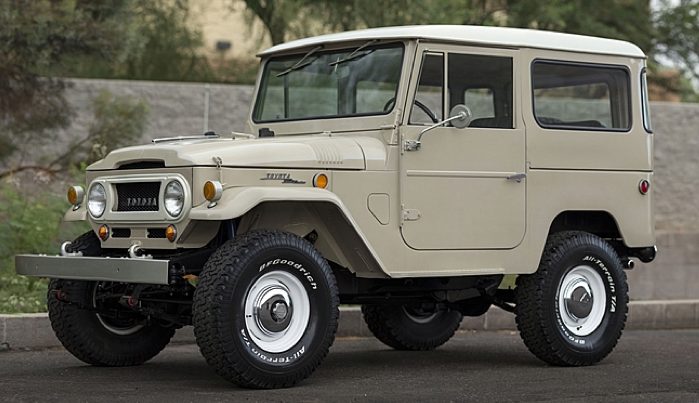 Fully restored FJ-40 that packs a surprising punch – the owner has seamlessly installed a 305ci Chevy V8 with 283 Power Pack heads and dual exhaust. The beige paint and white wheels with big BF Goodrich tyres finish the truck off nicely. 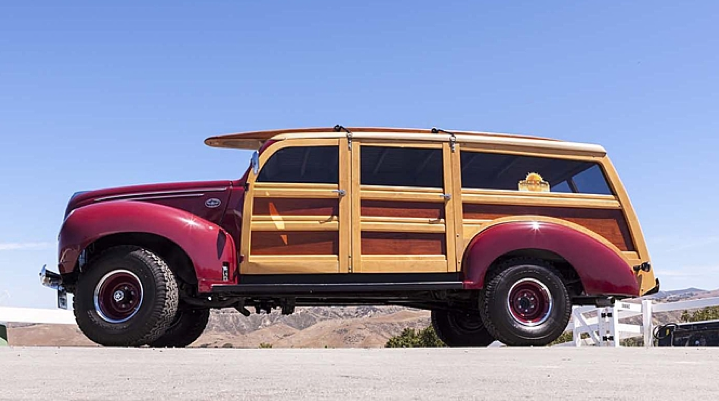 Another old car with a modern twist – this old Woody is set upon a 1993 GMC Suburban three-quarter-ton chassis. It’s powered by a new 350/280 HP V-8 with a 700R4 overdrive gearbox. This 10-seater is the perfect set of wheels to take the whole family to the beach in real style. This fabulous Chevy pick-up sports a custom chopped roof, a new ATK 383/378 HP small block crate engine and wood bed strips finished with ebony stain and satin finish. With only 755 miles under its tyres since completion, this truck is a good as unused. 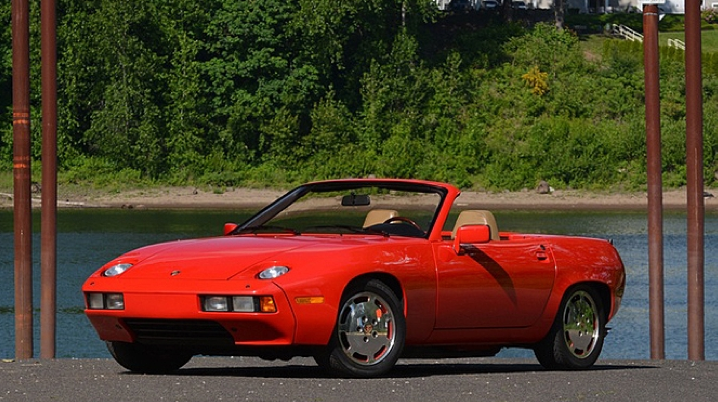 This is number 8 of 8 Carelli convertible prototypes produced in 1981. 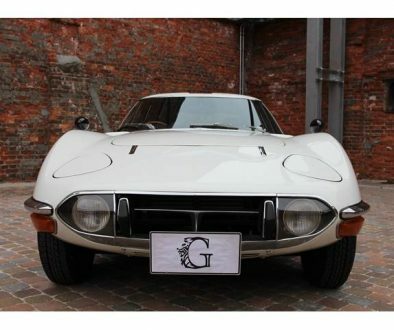 These cars cost $313,000 each when new and this example has only driven 6300 miles since new and is original and unrestored. 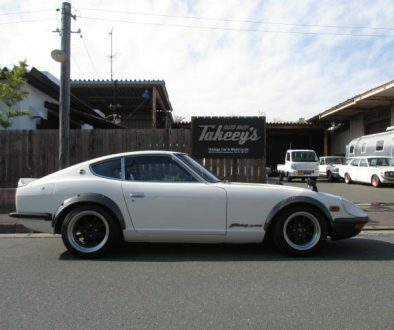 The conversion has been done to a very high standard, and for a limited run car the way the hood sits in the rear when down is particularly successful. 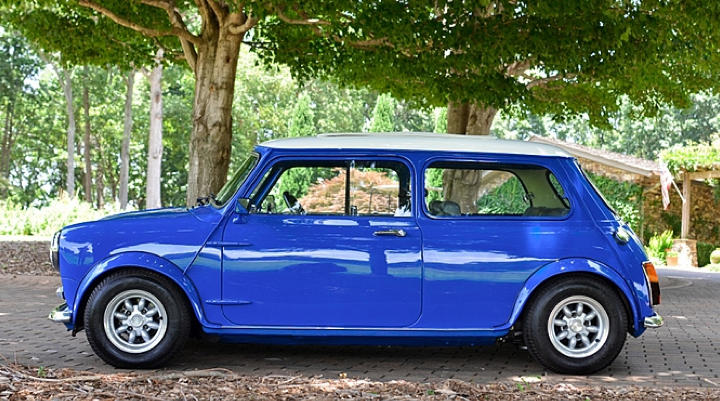 A beautifully customised Mini Cooper that has been expertly chopped and channeled, with tempered glass all-round. This example has a 1380cc engine with a weber 45 carb. 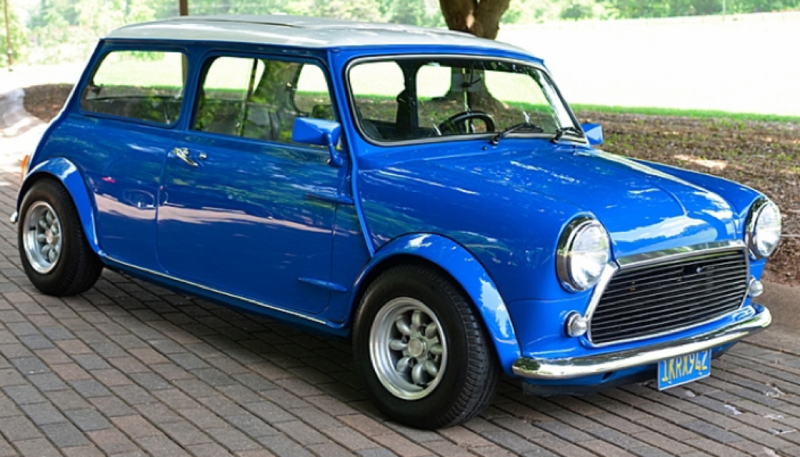 We want to jump on a plane just to bid on this beauty! 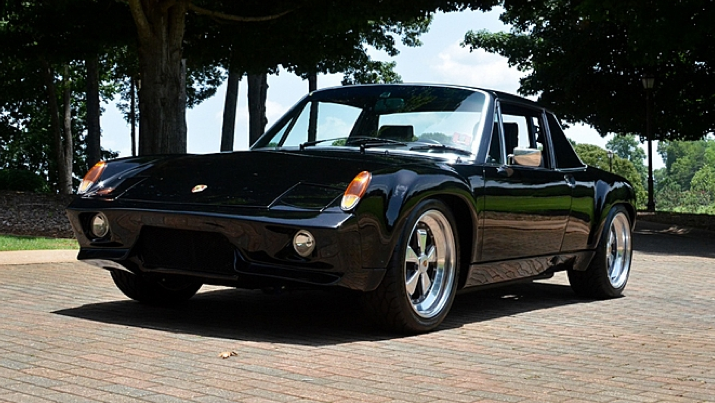 These Porsche’s are really starting to grow on us here, particularly when they look like this one. 916 style arches, 930 Turbo brakes with a professionally installed 350ci Chevrolet engine, and 3 piece Fuch wheels to finish it off. We’ll update prices reached once the auction finishes on the 15th August.